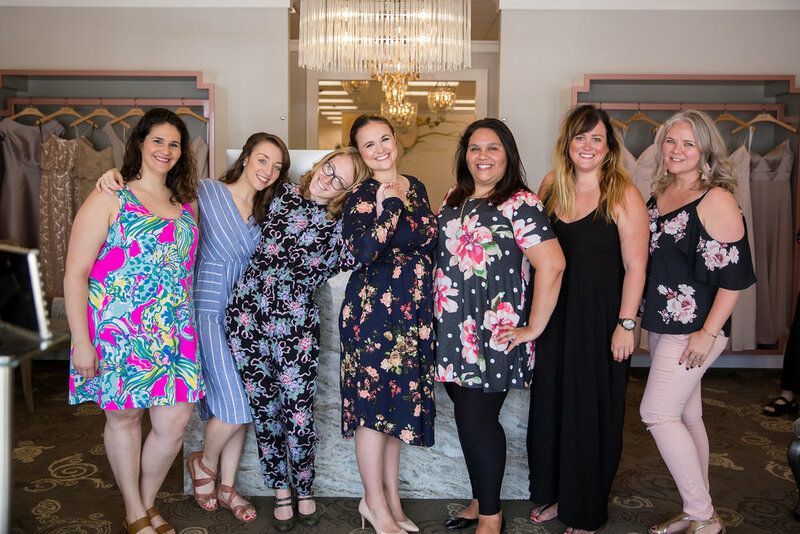 Finding your dream dress or shopping for with your bridesmaids for their dresses should be an experience, not a decision. 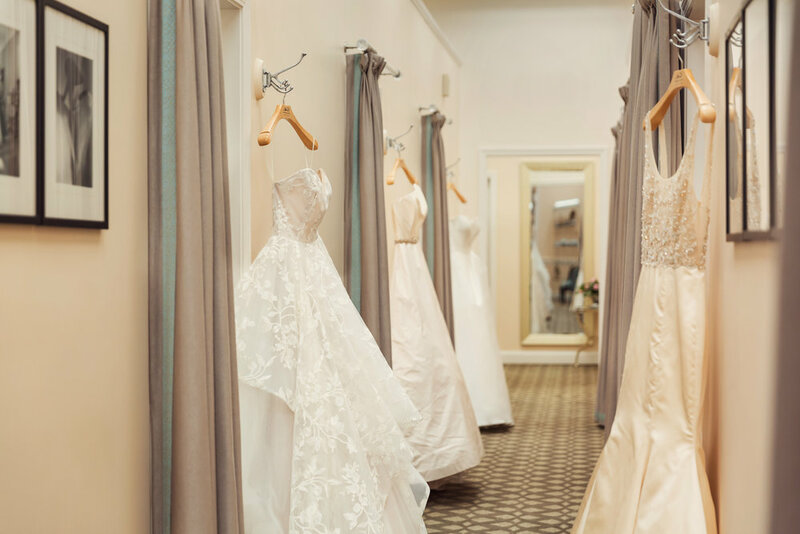 While every bride who shops here is pampered, there is something magical about a private shopping experience. 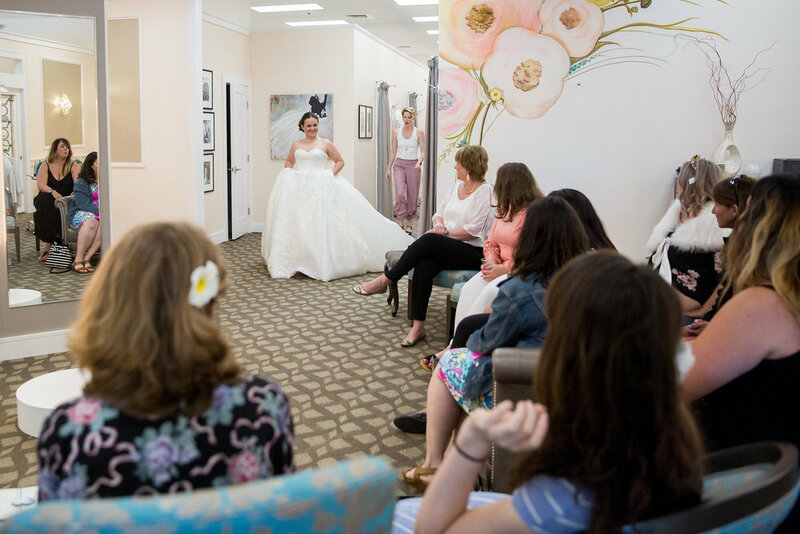 A private 3-hour consultation for the bride and her guests outside of normal business hours. 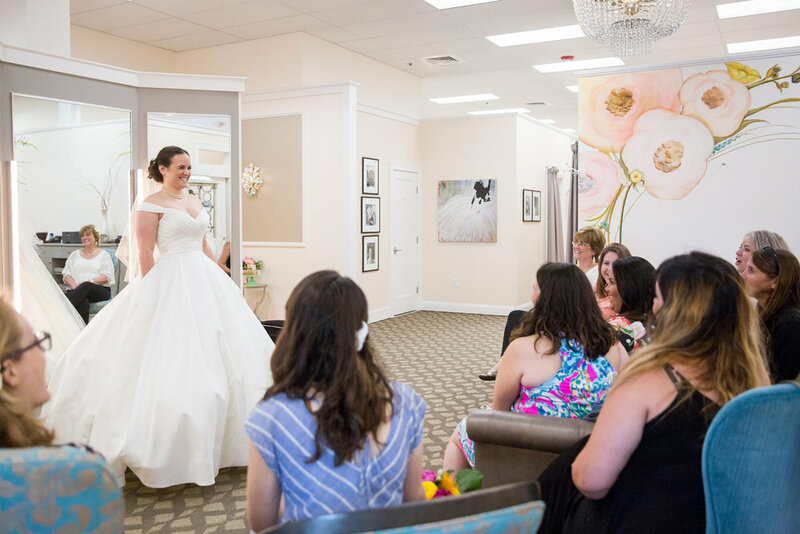 The store will be opened exclusively for you while you shop for your wedding gown! 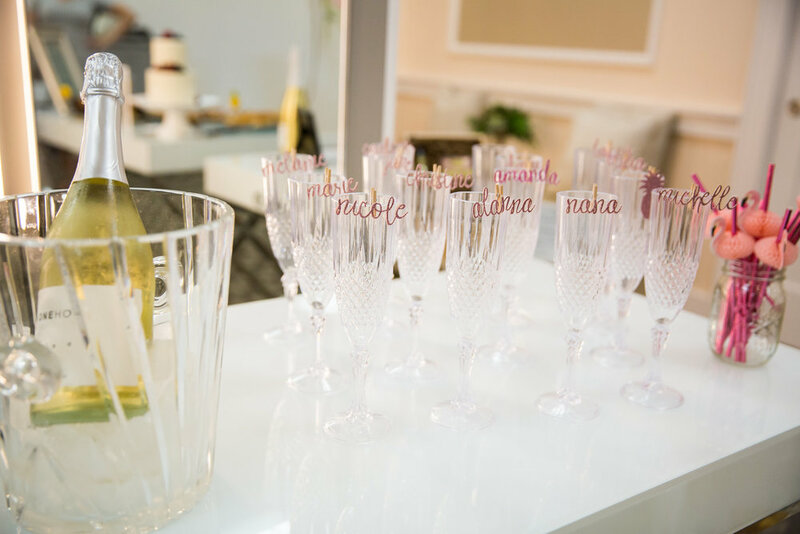 Champagne to enjoy throughout your appointment. 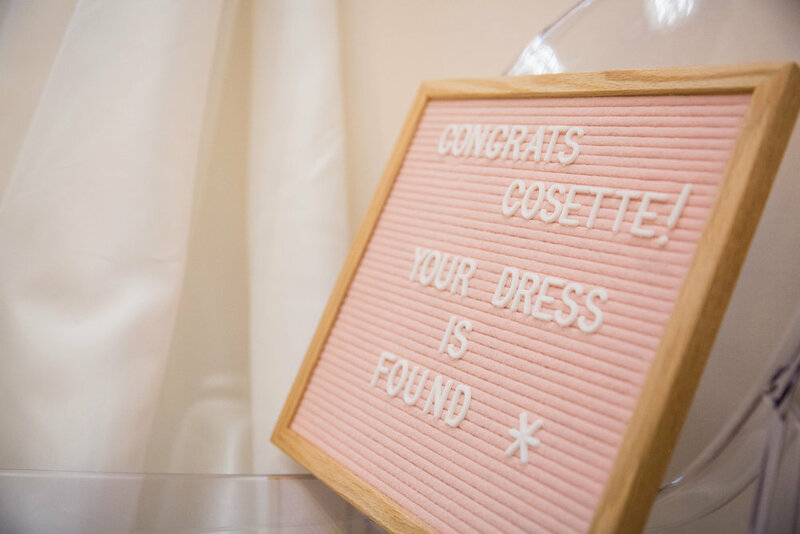 A personal stylist to help you find your dream dress and a personal hostess to cater to the needs of your guests, allowing you to truly enjoy the process of trying on wedding dresses and accessories. 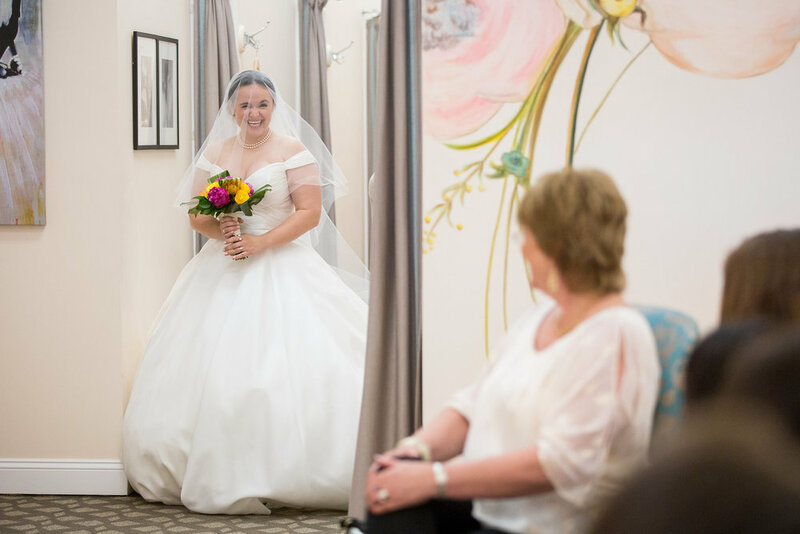 $200 towards the purchase of your bridal gown and a 20% discount on veils, headpieces, and jewelry purchased at this appointment. We will donate a portion of your dress purchase to My Breast Cancer Support or a charity of your choice. A private 2-hour appointment outside of normal business hours. 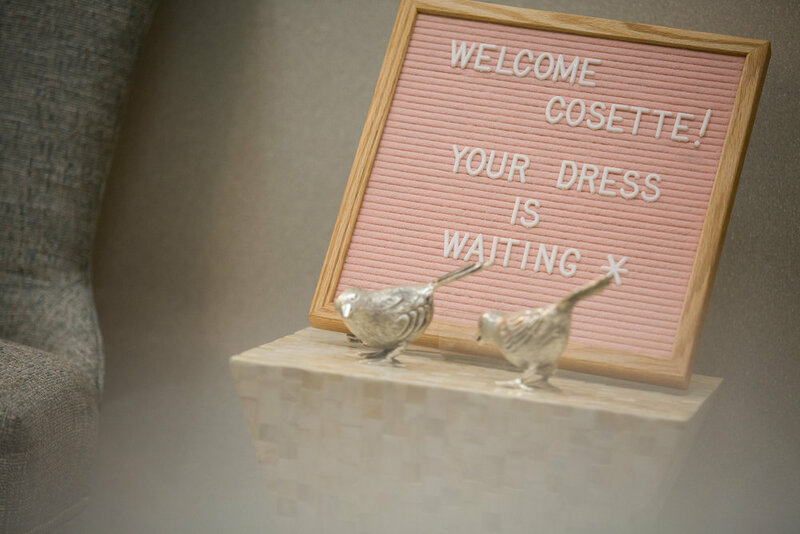 The store will be opened exclusively for your bridesmaids to shop for their dresses. Bring as many people as you want! 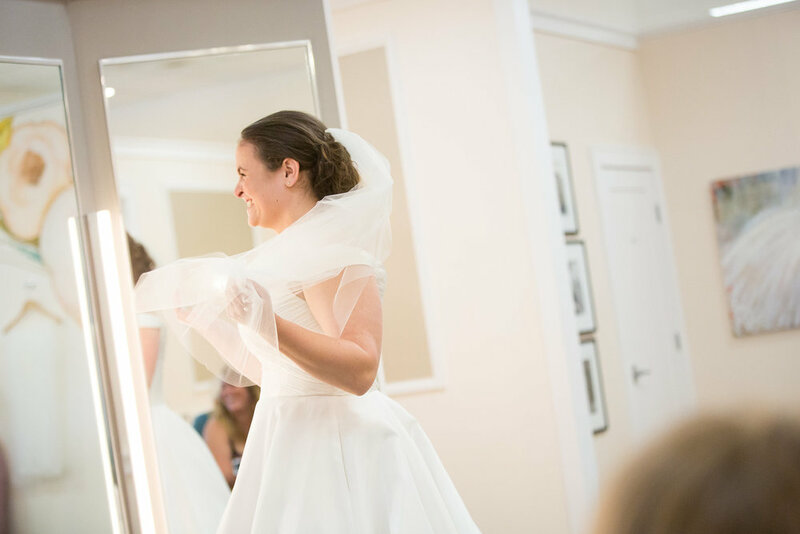 We will donate a portion of your wedding dress purchase to a cause you feel strongly about! Our charity choice is My Breast Cancer Support, but you can choose whatever charity you'd like! Please select what charity you'd like to support...and this can also be changed at your appointment. A bridal bouquet in the bride's choice of colors. A miniature wedding cake to take home to enjoy with her fiancé. A professional photographer to document the experience. 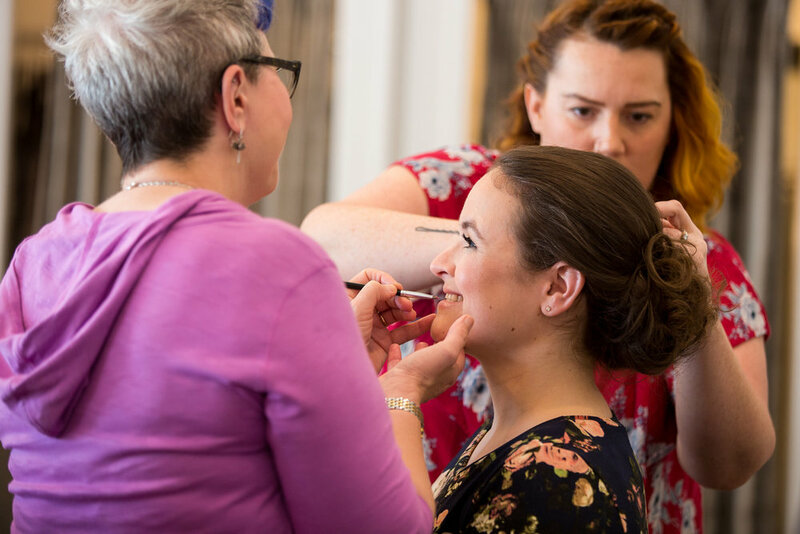 Hair and make-up artists here to create a full bridal look prior to the start of your appointment. A limousine ride to and from the store for the bride or her entire group. A signature cocktail to commemorate the event. 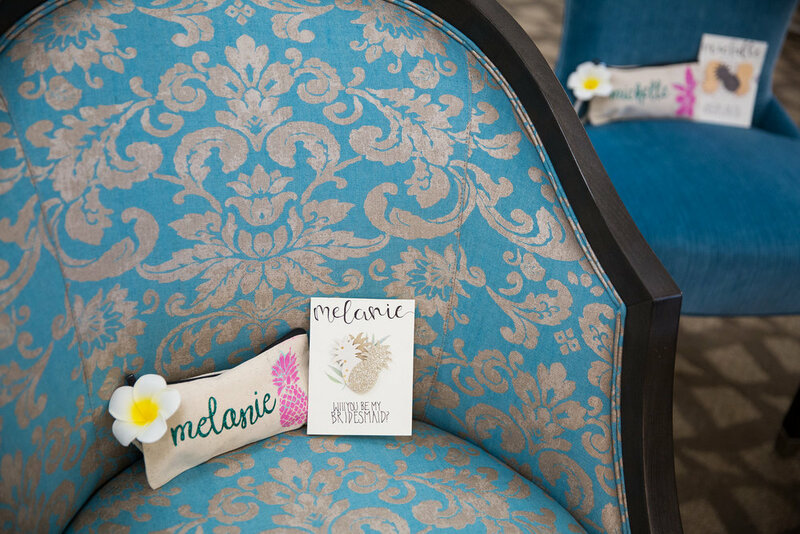 Invitations sent to your guests for the appointment. 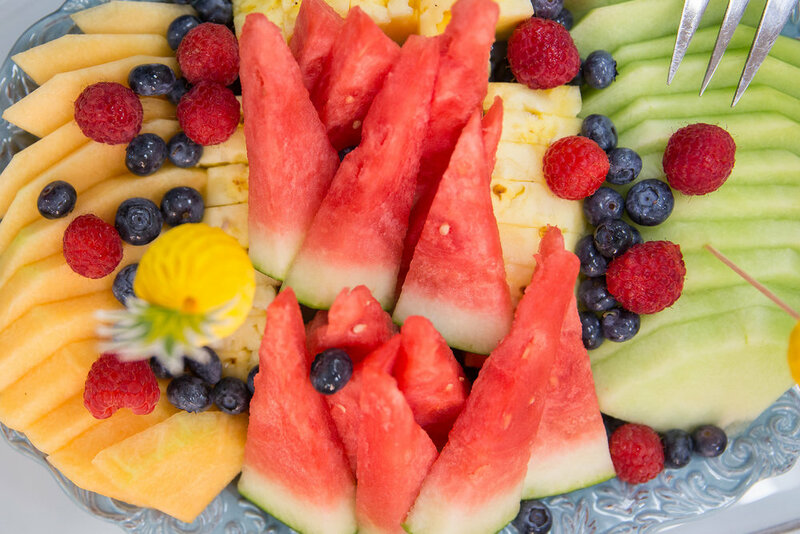 Or any other idea you have...we can try and make it happen! 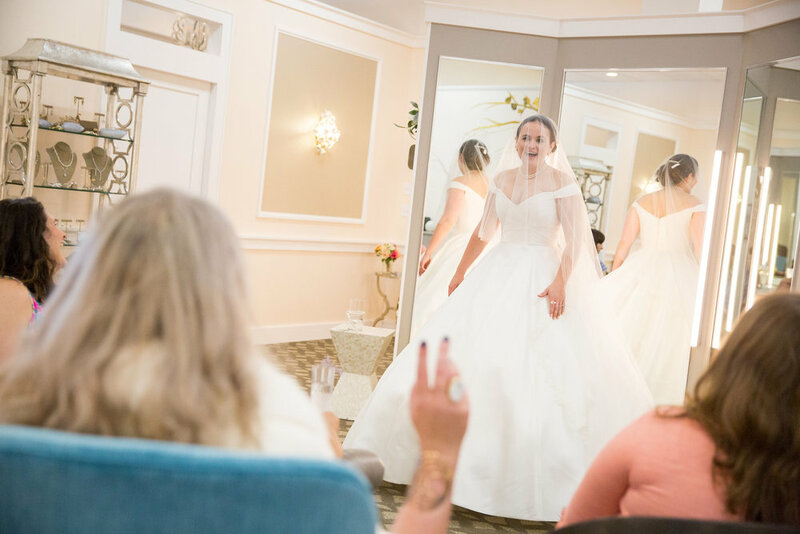 These incredible, exclusive appointments are $575 for bridal and $175 for bridesmaids, and can take place on Sundays (May-December) at 10am or 3pm. 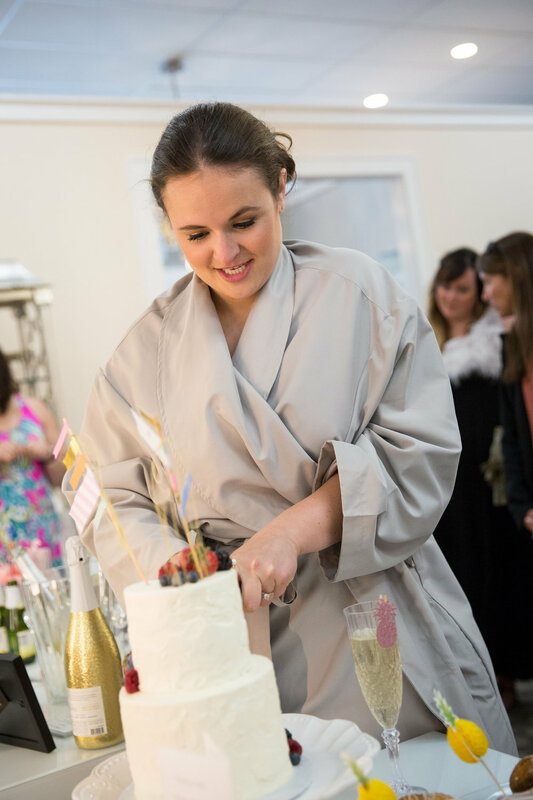 Whether you are a bride looking to create a magical experience for yourself and your guests, or if you want to give the bride in your life a day to remember, we can help you plan this amazing experience. 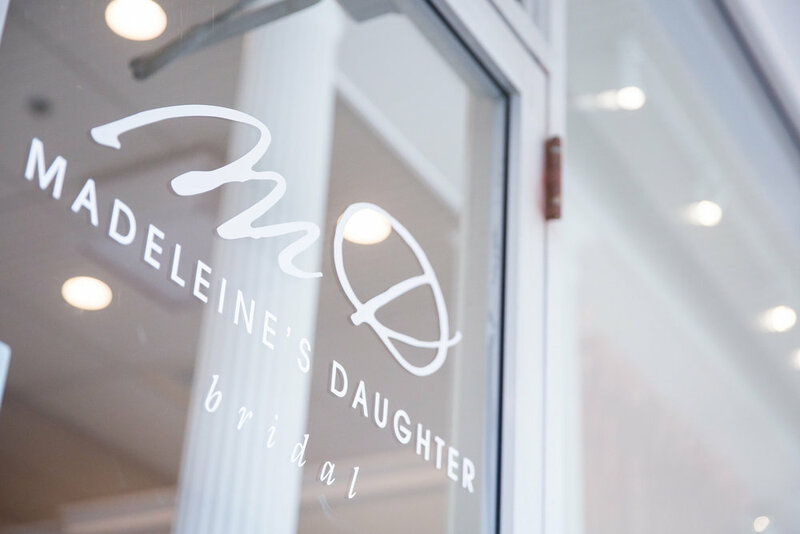 "Thank you to the whole staff at Madeleine's Daughter for helping me find my dress!! The Salon is Yours appointment is amazing and my whole group had a great experience. 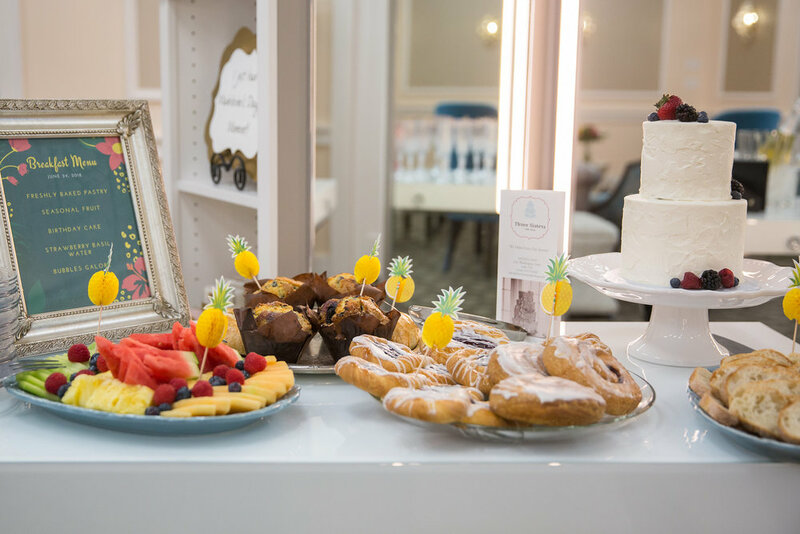 Champagne, treats, and top notch customer service made this such a memorable day and really allowed me to have my Madeleine's Moment."